Is another Windows Android phone a possibility, or just a pipe dream? Windows 10 Mobile has barely launched, and Microsoft's former chief executive is already burying it—though in doing so, he may be pointing toward a better way forward for the company. At the Microsoft shareholder conference this week, Bloomberg reporter Dina Bass was in the right place at the right time: She picked up former chief executive—and still shareholder—Steve Ballmer criticizing chief executive Satya Nadella and other Microsoft management. One of Microsoft’s faults, according to Ballmer? Ignoring Android apps. Ballmer also criticized Nadella’s answer to an audience member questioning the lack of key apps, like one for Starbucks, on the company’s Windows Phone. Nadella responded by citing the company’s plan to appeal to Windows developers by allowing them to write universal applications that work on computers, phones and tablets, targeting a larger array of devices than just Microsoft’s handsets that have just a single-digit share of the mobile market. “That won’t work,” Ballmer commented as Nadella spoke. Instead, the company needs to enable Windows Phones “to run Android apps,” he said. Was Ballmer right? Possibly. But how does Microsoft convince Android developers to port apps to Windows? Increasingly, it seems like another Android phone might be one answer. Microsoft’s app store clearly lags behind its competition. True, the list of the most downloaded free mobile Windows Phone apps reads like a who’s who of the Web: Facebook, Amazon, Netflix, Twitter, and more, especially when you compare them against the most downloaded free apps on Android, for example. But look closely, and several apps, including Instagram and Twitter, are either listed as beta apps or are simply nowhere near the quality of apps offered on other platforms. It just gets worse when you consider paid apps: Plants vs. Zombies, Terraria, and Need for Speed are all popular apps available for Android, but not Windows Phone. Both Android and iOS simply generate more revenue for developers than Windows phones do, and Windows Phone’s miniscule 1.7 percent market share certainly isn’t helping. Most developers neglect or outright ignore Windows Phone as a result, and fewer apps only mean fewer would-be Windows Phone buyers. It's a vicious circle. It’s not clear exactly what Ballmer meant by his comments, however. Was he implying that Windows Phones need to run apps that were originally designed for Android, and then ported over to Windows? In that case, he’s probably aware that Project Astoria, the Windows “bridge” tool that will allow developers to port Android apps to Windows, has been reportedly put on hold. If developers are going to run Android apps on Windows, they’ll need to take their iOS port—if they have one—and then port that code over to Windows with the complimentary “Islandwood” bridge. Islandwood is still listed as a “0.1 Preview” as of Nov. 19, however, which seems to be about as far away from a piece of finished code as you can get. At this point, Microsoft has several other options. One of these clearly is its current strategy: Seed as many apps and services onto other platforms as possible, both as a revenue-generating opportunity (Office 365 subscriptions) and also to woo as many customers as possible to Windows. As Microsoft’s financials indicate, the bulk of the company’s revenue still flows from Windows, Office, and other enterprise services; once you start using the Outlook app for iOS, for example, you might be interested in signing up for more robust collaborative features that Microsoft’s office suite offers. The other option? Well, as strange as it sounds, a Windows-branded Android phone might not be so far-fetched. You can already jury-rig a “Windows Android phone” by using Cortana, Bing, Outlook, Skype, the Office apps and more into an (almost) all Microsoft, all the time creation. But given that Android is an open operating system, there’s really nothing stopping Microsoft from actually crafting its own fork of the Android OS, as long as they adhere to the correct open-source licenses. Google’s Play Store and related services require their own agreements and licensing, but Microsoft wouldn’t have to tap into that, as Amazon’s own Fire OS also sidesteps those restrictions. In other words, Microsoft could use its own Microsoft Store for users to launch and download apps. The problem, as Greenbot’s Jason Cross tells me, is that many Android apps use Google Play services, which means that either Microsoft would either have to exclude those apps, or else ask developers to craft special versions for Microsoft—though that brings Microsoft right back to square one in a way. But where attracting users to Microsoft's apps and services without luring them to its platforms is a customer-facing philosophy, the company could continue pursuing a similar strategy with developers, providing app makers with backend APIs to its services. 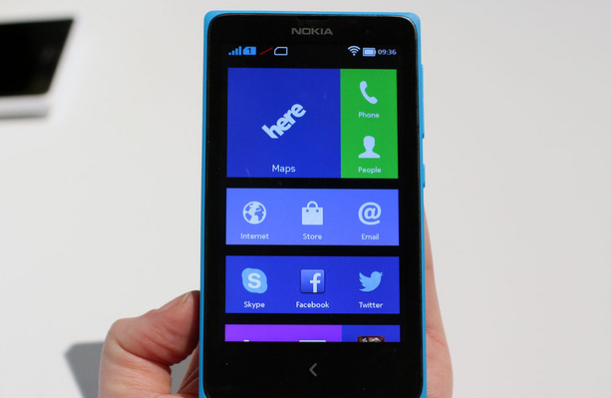 The Nokia X: an Android phone that wasn’t long for the world. It’s important to note that we’ve gone down this road before. Shortly before Microsoft acquired Nokia’s device business, Nokia developed the Nokia X: an Android powered phone with an array of Windows-like tiles. 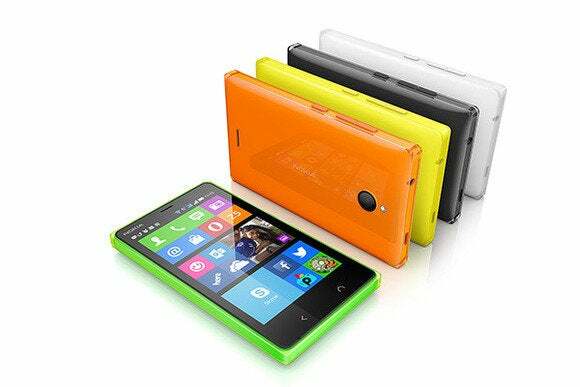 Stephen Elop, the chief executive of Nokia who joined Microsoft as part of the acquisition, promised that the Nokia X would live on. It didn’t, and Elop left this past summer. So far, there hasn’t been the faintest hint that Microsoft is developing its own Android OS or phone, however. And with Microsoft already hurling billions of dollars at its own Windows Phone and device development, it may be that management will balk at spending more. But the nagging question remains: If Microsoft has hitched its wagon to “cloud first, mobile first,” you need a viable mobile platform to ride. And isn’t that increasingly looking like Android?